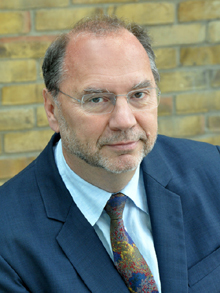 Dr. Peter Piot	M.D., Ph.D.
Prof. Peter Piot began his study on HIV/AIDS epidemiology in 1980 while working on Project SIDA, the first AIDS research project in Africa. He then joined the World Health Organization’s (WHO) Global Program on AIDS in 1992 and later served as the first Executive Director of UNAIDS between 1994  2008. He has played a major role in raising global HIV/AIDS awareness and promoted the inclusion of HIV/AIDS prevention in national development agendas among politicians, businessmen, scientists, and spiritual leaders. He has been instrumental in the rise of the global anti-AIDS movement, championed HIV prevention and lower prices for Anti-Retroviral Therapy, as well as greater access to medication for patients in less developed countries. The earnest efforts of Prof. Peter Piot, during his tenure as Executive Director of UNAIDS, and Dr. Jim Yong Kim, during his leadership as Director of WHOs HIV/AIDS Department, have made HIV/AIDS treatment and prevention a global agenda, enabling faster, more comprehensive treatment that has saved millions of lives and benefited peoples health throughout the world.